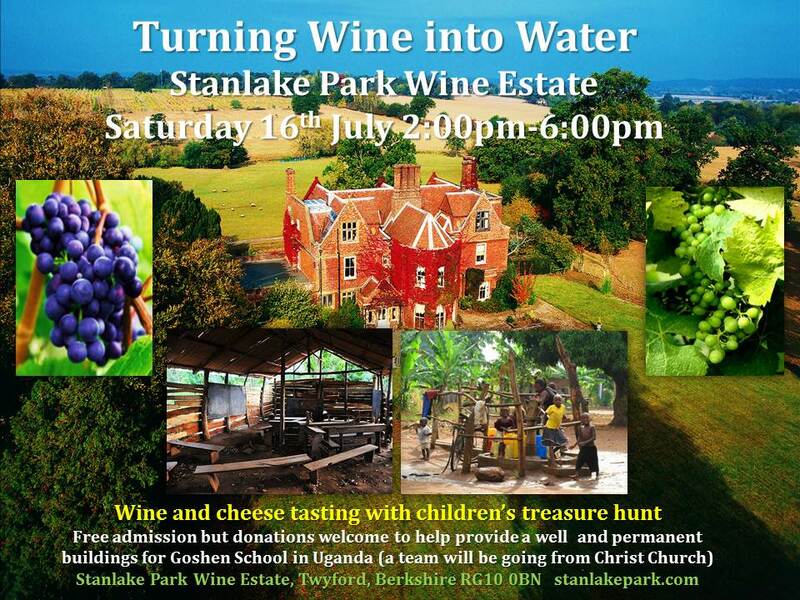 Turning Wine into Water: Saturday 16th July at Stanlake Park Wine Estate, Twyford, Berkshire, RG10 0BN from 2:00pm-6:00pm. There will be wine and cheese tasting with a children’s treasure hunt. Free admission but donations welcome to help provide a well and permanent buildings for Goshen School in Uganda. In August a team will be going from Christ Church, Virginia Water to help with the well construction and extend the school. For more information (and short videos) about how you can be part of this project see here. This entry was posted in children, Christ Church on April 24, 2011 by Stephen Sizer.